Winner of the “Toti dal Monte” Competition in Treviso in 1984 and the “Opera Company of Philadelphia – Luciano Pavarotti International Voice Competition” (1985), he started his career with the role of Marcello in La Bohème with Luciano Pavarotti at the Teatro Regio in Torino. He performed the same role in a tour in Peking, Philadelphia and Geneva. 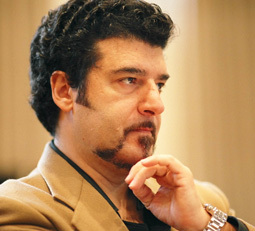 In 1986 he sang in Don Carlo at the Salzburg Österfestspiele conducted by Herbert von Karajan. This was followed by an intensive collaboration with prestigious Opera Houses in Italy and abroad. At the Teatro dell’Opera in Rome he sang Don Carlo, Poliuto, Zelmira, Ifigenia in Tauride, La Bohème (with Mirella Freni, conducted by Daniel Oren ) Il Barbiere di Siviglia, Lucia di Lammermoor, Macbeth, Iris/Kyoto, and Maria Stuarda/Lord Cecil. At the Teatro Regio in Torino where he sang Don Carlo, Lucia di Lammermoor I Puritani, Samson et Dalilah, the title role of Evgenij Onegin with Mirella Freni and Nicolai Ghiaurov. 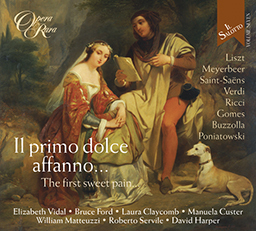 Roberto has taken part in a number of Opera Rara recordings, including two volumes in the Il Salotto series, Mercadante’s Emma d’Antiochia and Donizetti’s Pia de’ Tolomei.